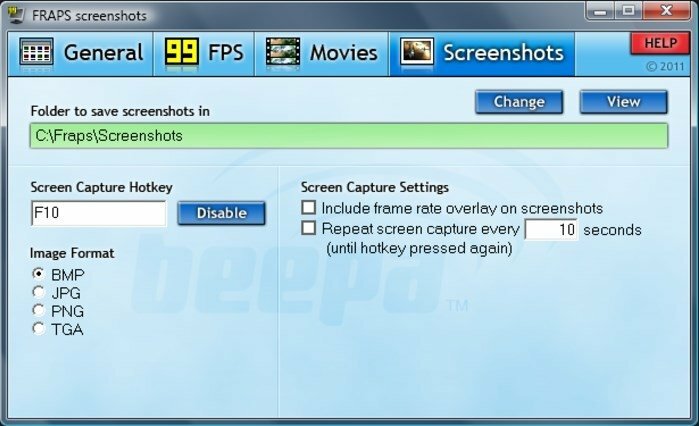 FRAPS, as we can deduce from its name (FRAmes Per Second), is an application that allows the user to measure the number of images per second that we obtain when we run a game, whether it uses OpenGL or DirectX. Thus, this application when running shows the frames per second (fps) of the video game that we are playing in the corner of the screen of our choice, allowing us for example, to measure the rate of images between two points or to perform customized benchmarks. After that, we will be able to store the information to check it whenever we want. General, that includes the applications general configuration, like, for example, starting up minimized with wood. 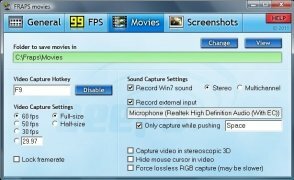 FPS, that contains the adjustments to measure the frames per second like for example, the length of the benchmark. 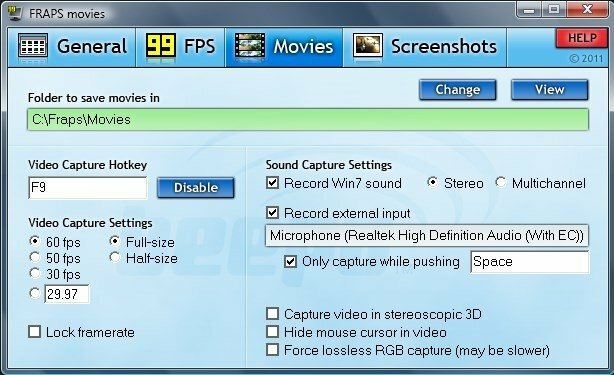 Movies, with the options that are available to record video. 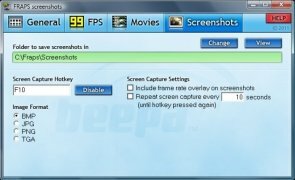 Screenshots, with the settings necessary to perform the screenshots. This download requires that you have DirectX 9.0c or DirectX 10 installed.